D.C. is not only known for its historic monuments, pearly-white presidential homes and fragrant Cherry Blossoms. The District is also known for its booming food truck industry that is serving up unique dishes to political wonks and hungry tourists each day. With over 100 food trucks on almost every street corner (and plenty more still rolling in), you will never go hungry in the District again. Here are 5 food trucks you must pay a visit to in the nation’s capital. Astro Doughnuts & Fried Chicken is serving up a southern classic with a twist: fried chicken with doughnuts instead of waffles. It’s safe to say that Astro Doughnuts has perfected the classic combination of sweet and savory. If you’re in the neighborhood, their brick-and-mortar store is located at 1308 G Street, NW Washington DC, 20005. If you want their delicious creations on the run, you can check out their truck schedule here. 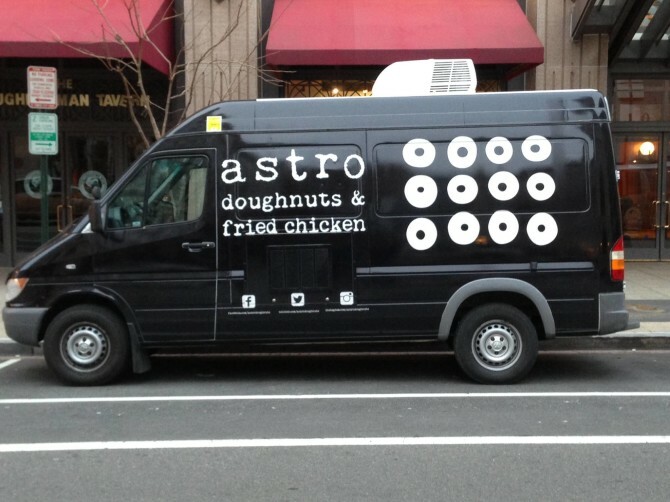 For those fried chicken and doughnut lovers out there, Astro Doughnuts has their own iPhone app. With this app, you will never have to succumb to the shear agony of a chicken-less or doughnut-less day. Like Tacos? Like Asian flavors and spices? Then you’ll like TaKorean. This food truck cooks up some flavorful Asian fusion dishes. What makes TaKorean unique is its commitment to using only farm fresh and healthy ingredients. 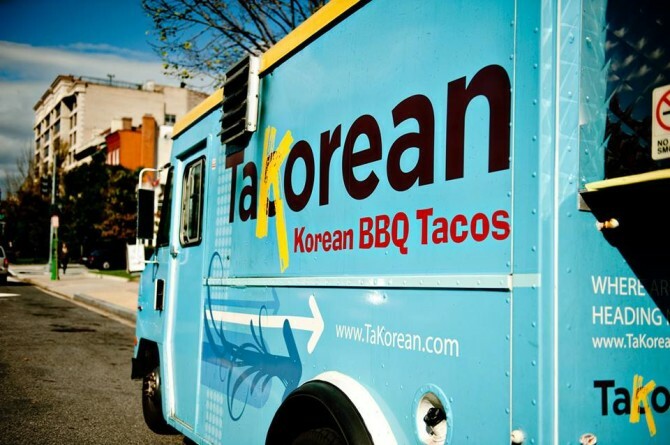 TaKorean also donates 1% of their gross sales to local environmental, food and youth-based NGOs. Sadly, TaKorean food truck does not operate in the winter months. While you wait for the Cherry Blossoms to bloom however, you can still indulge in their globally inspired tacos at either of their two brick-and-mortar locations. Can you think of anything more satisfying than a warm and gooey chocolate chip cookie with a tall glass of cold milk? 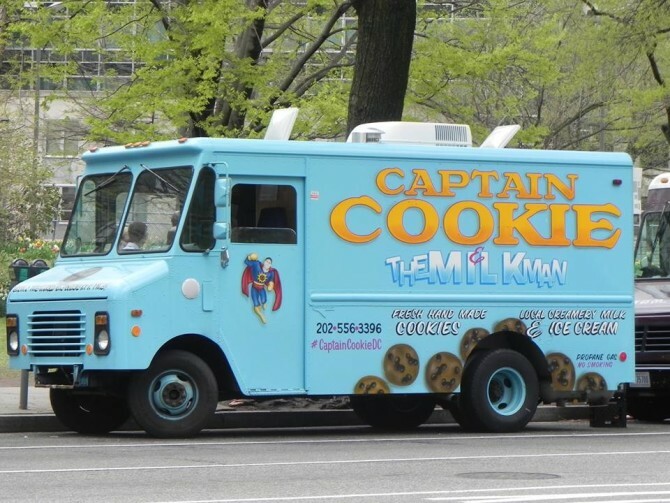 Captain Cookie & the Milk Man sure can’t. That’s why they’ve created a food truck dedicated to this classic indulgence. Mac and Cheese on wheels, need I say more? This food truck is not only cooking up plentiful servings of hot and cheesy traditional mac, but unique flavor infusions as well, like BBQ infused mac & cheese. Mac Attack is where both cheese and meat lovers go to graze. 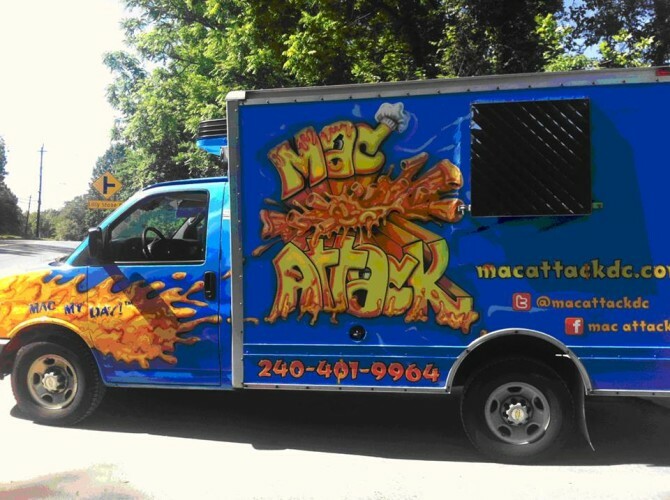 If you’re looking for that perfect feel-good meal, you can find Mac Attack’s truck schedule here. The cupcake craze doesn’t just stop at the curb in D.C. Curbside Cupcakes is serving bite-sized pieces of happiness across town. 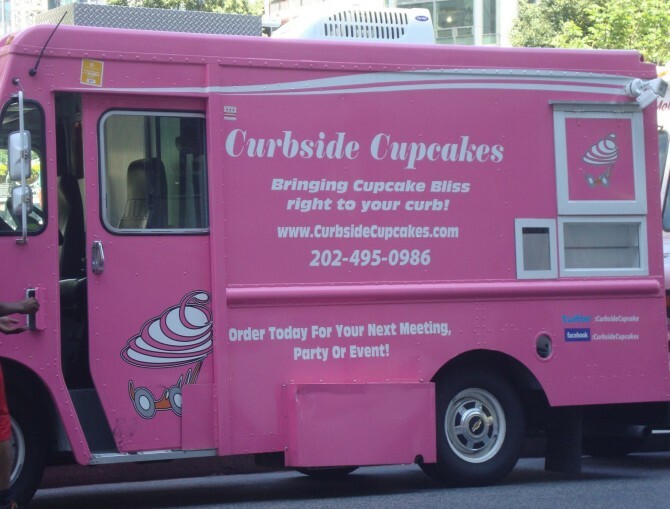 If you’re looking for that cupcake fix, lookout for Curbside Cupcakes’ bright pink food truck. You can find their truck schedule here. With all of the unique and equally scrumptious food trucks in D.C., you’re able to satisfy any crazy craving from Asian-inspired tacos to brisket mac & cheese. Next time your stomach is grumbling while on the go, keep an eye out for any of these one-of-a-kind food trucks.